The presented project is an EMBRAPA laboratory for biological control. 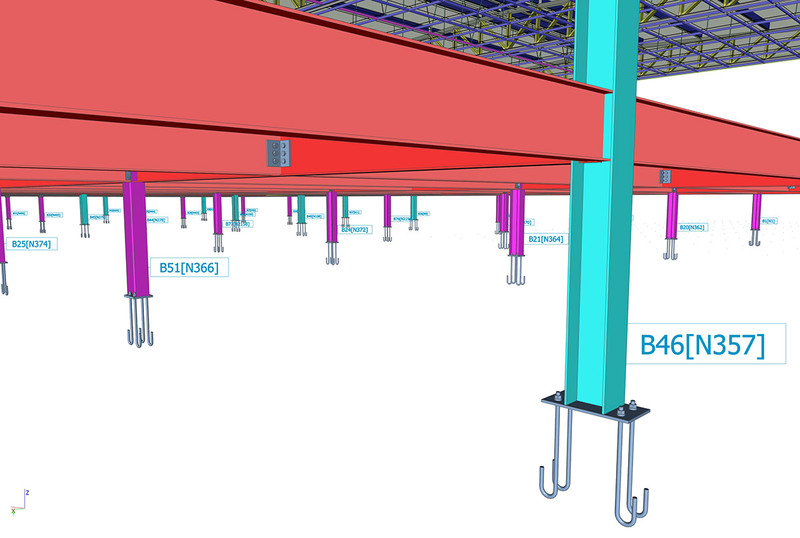 The load bearing frame is a steel structure made of hot-rolled profiles. The floor is composed of composite beams. The mineral ceiling is fixed to roof trusses. 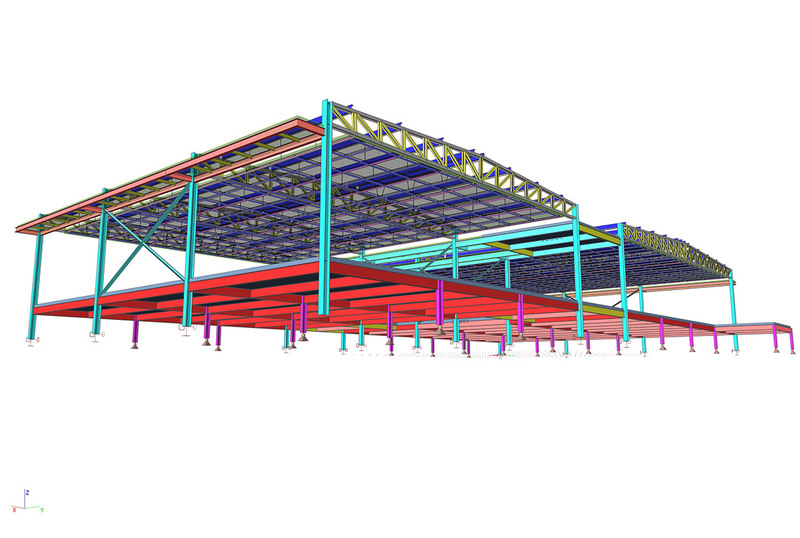 SCIA Engineer was used for the analysis and design of steel and composite structures. 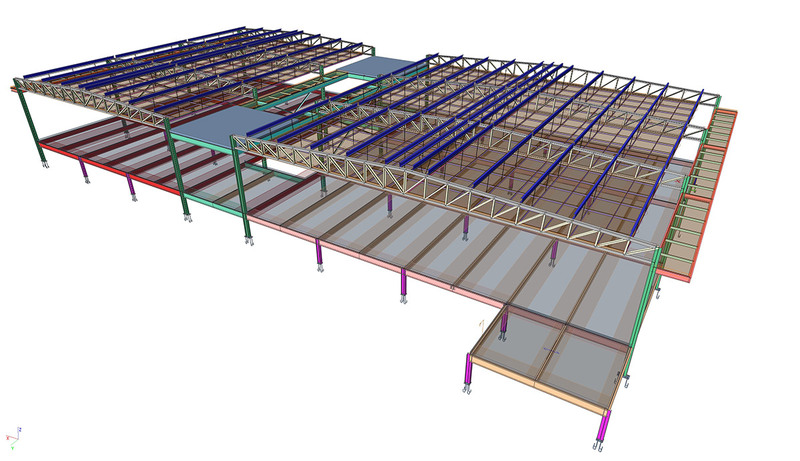 The composite floor beams were designed according to Eurocodes using the new composite module. SCIA Engineer standard connections were included in the model. General arrangement drawings were generated and sent to detailers to produce shop drawings. 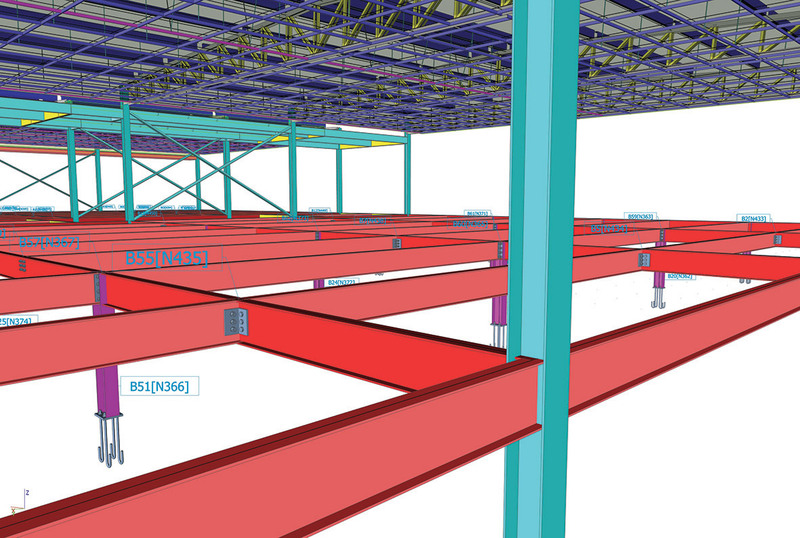 As the last step, the structural model was exported to Allplan via the IFC file where it was used as a base for modelling and detailing of foundations.